Take a look at our fencing services. We have been providing quality fencing for over 30 years. Get in touch about our fencing services! 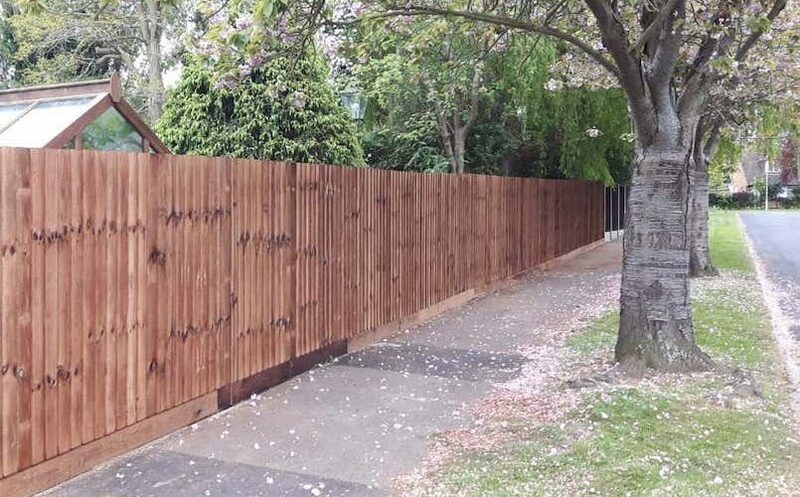 As specialists within the Fencing Industry, we at P. Norris Fencing Services provide a whole range of professional services, including the installation of different types of fence panels, fences and gates for industrial, agricultural, and domestic properties. Whether you’re increasing the security of your business premises, or trying to protect livestock, our solutions are second to none, and therefore, we can guarantee that your needs will be met. We are based in Bedford and operate across the East Midlands including Milton Keynes and Biggleswade, so we can offer on-going services should you require them. As well as offering free advice and installations, we also provide repairs for your existing fences, should these have suffered any problems due to bad weather or an intrusion. Fence panels are often affected by storms or strong winds, which can affect the security of your premises. We can visit your property and advise on the repair or replacement to ensure your building is safe and secure. Our fencing services include a wide range of agricultural fencing options to suit you. Whether you need wooden, mesh or rabbit-proof fencing, we can provide them at competitive rates. No job is too big! Our picket fencing is a great way to keep children or pets safe by keeping them out of certain areas of your garden. Picket fences are also a great way to add some style and character to your outside space. Stock proof fencing is an essential part of any farm that contains livestock. We offer stock proof fencing using various materials to ensure that our fences are suitable for all types of livestock and farms. Our palisade fencing is perfect for locations that need a higher level of security and resistance from vandals. They are very popular for use around schools and industrial sites due to the high damage resistance. Mesh fencing is very popular due to the stylish design and rigid construction. Mesh fencing is very reliable and can be used for a variety of situations. A very popular use for mesh fencing is to surround artificial football pitches. Our timber fencing is perfect for your garden as it provides improved security and privacy. Our timber fences are made using only the highest quality timber. We have a large selection of designs so there is something for everyone. We provide fencing in various materials such as mesh and steel, which can provide security to a wide range of properties. So, if you’ve had issues with security or just want peace of mind, contact us about our security fencing. Feather edge fencing is popular as it offers privacy whilst being strong and secure. We offer high feather edge fences to surround your garden and also shorter variants for front gardens of smaller garden sections.